The results are in on our most recent poll that looked at the topic of the lenses that we primarily shoot with. Particularly we were interested to find out whether readers shoot with Zoom or Prime lenses as their primary lenses. Over 23,000 readers voted and here are the results! I shoot 95%of the time with the Canon 50/1.4 on my D20 but it does get old using this relatively long focal length. You get addicted to the resolution. For most of us using zoom lenses the answer is simple. Unless you work for a large corporation or are a top level, pro photographer who can afford a $10,000 600mm prime lens? I, up to date, only have a zoom lenses, the K200 kit come with 18-55 zomm, I have a Vivitar 28-210 manual and AF, one size fits all on a film camera, and I think prime lens are for more specific photographs thath zoom, on a travel normaly the reflex are used as "the better P&S camera you can afford", normally you have not more than a minute to see, prepare and shot, they cannot be done with prime lens or you lost the shot and the family. I think we are a mixed bag here. Some are pro and some are semi-pro and most of us are probably hobbyists some with real talent and some with a burning desire to learn their hobby. To me the poll shows that there is a lot of beginners who live on a budget. The kit lens and an add on telephoto zoom was all I could afford. Having been shooting with them for about a year, I find certain points on the zooms work better than others. This has begun to turn my head towards a prime or two, if I can find what I need for the price I can afford. The dslr field of photography has literally exploded and the camera companies are making a profit on kits. If you look at the prices of glass and other things, the investment in lens and equipment hasn't change any. Photography is still a pretty steep investment, so zoom gains an economic advantage. Even the low end stuff has some great quality, you just got to be smart about what you buy. NB : in fact i don't have a Professional Caméra just " Canon Sd200 " ! But i do some amazing Photographie ! Sure, but I don't want to get into a flaming match, so this will be my last post on the topic. Polls like this are just supposed to be a little bit of harmless fun so we can see what our fellow photographers are doing. Nobody's pretending that we do them for "the betterment of our craft". The only thing that will help that is practice, and we all know that. If you didn't want to participate, that was your prerogative. Instead, you criticize the question, link it to another question you pull from the air that has no relationship to it whatsoever, and finally imply that all the pollsters (pollees?) were wrong to even answer the question. All of which, I may add, was done in a tone of breathtaking pomposity, which I think irked me the most. Zooms are excellent.one are all L glass. I do plan on the Canon 800 in the near future as my first prime:) I notice that ALL of the pros that teach photography on line like Moose Petersen and Rick Samon use Zooms most of the time. I don't think the good photographers care, as they can do wonders with a point and shoot. It seems to me it's about the eye, not the lens. I have top end golf clubs, but no game. I shoot primarily Prime for my wildlife and Macro work but surely love the flexability of shooting with the Canon 70-200 f/2.8 is zoom [great lens] for foot and bicycle races. As someone else stated....it all depends on what type and style of images you're trying to capture at the time. I think some of the people on here say they use a prime lens just so it makes them feel superior to the rest of us. The same way some say they like vinyl instead or CDs. Or even black & white TV instead of colour!!!! I use two zooms and sometimes a 50 1.8. Or prefer a Morris Minor to a modern car!!!! VHS to DVD!!!! Perhaps that last one is a bit too far fetched. 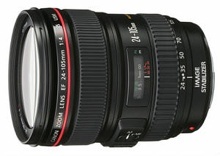 I am surprised at how few comments are made regarding the Canon EFS 18 - 200 IS lens. It is by far my favorite lens. I have both the 70 - 200 IS and the 24 - 70 L lenses and still find myself using the 18 - 200 for most things. I would say i'm torn 3 ways between my 50mm, 18-55 and 55-200. While i love my 50mm, sometimes it simply doesn't cut it, and i have to go wide angle out comes the 18-55, sometimes i see something really far off, change to 55-200. the point is each lens has a different purpose and ideal usage circumstance. Funny, my "WAG" was 65% I was close. My 50 1.7 and 35 2.8 live on my camera 99% of the time. Canon - 24-70mm L (sweet lens!) and 17-40mm L (great for wide shots) - 24-70 is on my camera 90% of the time. I'll join the chorus of non-surprise. Even the best amongst us are somewhat lazy, especially with modern high end zooms being so good. Seeing 81% use a zoom around at least half of the time and 61% using one most of the time is about what I would've expected. I'm mostly Canon 50mm and 85mm fixed lenses. i shoot both to be able to get a certain feeling and/or look from the lens. every lens has its own look and if you want/need to have that look in a picture you use that certain lens. you can shoot one and the same portrait 20 different ways just by changing lenses and it will turn out different every time. so in essence it does not matter how many people shoot zoom or prime because it depends on the subject, the mood you want to create, the recording/viewing medium (aps-c, 35mm, 4/3 etc / web, poster, 8x10, huge banner), the certain look/DOF a lens creates (if you want to have that lens-baby look - you need a lens-baby). it seems to me that the question stumbles upon a different kind of phenomenon - that of how content people are with their gear vs the results they get from it. also the resolve to own/use the necessary gear to achieve certain looks? to paraphrase steven pressfield: "how professional is your mindset?" what gear do you actually need for the images you want to shoot and can you shoot what you want with what you have? i understand the difficulty with polling such kinds of questions but do we need a poll to understand how we work or how we want to work? can a poll actually deliver an answer we can use for further improvement of our craft? I use a 18-200VR 99% of the time, a great, versatile lens! Don't blame em. You can't beat a high quality zoom for versatility. Nevertheless, primes should not be overlooked. I really like a 50mm lens for sheer simplicity and I do like using them wide open for portraits for really flattering softness. Couple with a soft filter for really creamy dreamy effects. Hire a decent model though, or the effect is lost. Happy snapping. I use a zoom nearly everywhere I shoot. It has been a long time since I have used a prime lens, unless it is a macro session. Most of the big time pro's that I've read about (nat geo, sports ill, and others) often use a mix. I'm actually heading towards more primes. I figure to get a 24mm, and some thing in the area of 80-100mm. I can cover those with zooms, but when shooting ondoors with natural light a prime is a must! For me, this is a little surprising. I would have expected prime only to be about 5%, and I would have thought more people would have been in the split between zoom and prime category. I can't imagine photography without my 50mm prime, but I also can't imagine shooting without the flexibility of a zoom in certain situations. While the kit lens argument makes sense I would be interested to know if the type of photographs a photographer takes effects their choice of type of lens. I bought a new 24-70mm f/2.8L lens recently. I don't even have a zoom lens, since i switched to Canon. So, I believe I'm really the "old school" kind of guy. I work only with prime lenses. I don't even own a prime lens that will work on my EOS 5D and 5D Mark II. I had prime lenses for my Canons before the EOS line came out at the end of the dark ages but never got around to replacing them. I keep thinking I'll go get a really fast, f1.4 prime lens and try to discipline myself to use it but then the flexibility of the zoom, the Image Stabilization, fast ISO and faithful old tripod conspire against those thoughts. I grew up taking pictures using my parents' non-zoom 35mm compact point-and-shoot camera. That was in the 1980's and the 1990's. My Fuji FinePix S3500 digital camera in 2004 had a zoom lens, so I've been accustomed to having a zoom lens, even on my point-and-shoot Olympus T-100 this year. My Nikon D3000 DSLR kit came with a zoom lens, and again, keeping me in the habit of expecting to have the ability to zoom. On recommendation from a few people I know who've been into SLR/DSLR photography for years, I've decided to buy a Nikon 50mm f/1.8 prime lens. I am curious to see how often I use it in comparison to my other two zoom lenses. I use both, but by far I'm not surprised at all. Zoom is easy quick way for you to not run up and stage your shot. Which is a shame. Walking to your new shot always gives you a few ideas on how to shoot it. Almost hobbyist and photographers alike that I know uses a zoom lens as their primary choice. I can't choose which my primary lens is as it depends on the job scope. When I prepared photos for the newspaper, I can't deny that a zoom lens comes in handy as subject distance tend to vary. However, when night comes, my 40mm f1.7 prime is my choice without a doubt. This isn't remotely surprising. It's about what I'd expect. I only use prime lenses because a. it's all I can afford and b. no one is paying me to take photographs. Given an unlimited budget, I'd have the 14-24 (or 16-35 f4), 24-70 and 70-200 in my kit bag and probably nothing else. Hmmm...slightly surprised. I used zooms as a beginner but switched to primes a few years ago. Don't know too many photographers who prefers zooms either. Maybe it's the whole "kit" thing. While I love to use my 100mm Nikkor Prime for Portraits and Macro work, I am increasingly using my 10-20mm Wide Angle Zoom in landscape work . I find it particularly useful to capture interesting foreground while still being able to keep the horizon in the image. This image shows just this with 10mm. On a tripod, mirror up, live view, remote release, wet photographer! Only use 3 lens all zooms, makes my camera bag much lighter. No surprises here. It's all about technology. I agree not very surprising, how many kits come with a prime lens? None that I can think of unless you request it that way. With that said I think people that purchase kit camera/lens combo become so used to the zoom lens it is hard to go to anything else. I once gave a photography newbie friend of mine a 50mm lens and he put it on and looked at me and asked.."How do I zoom with this"? I use mainly 50 1.2, which is even sharper then my 85 1.4 and I have zoom in my feets. Even less surprising because most of the meople here are total beginers who buy dslr's in a kit - with zoom lens. Not surprising results. I guess I am a decent split - my go to glass is a 35mm 1.8 and a 70-200mm 2.8. However, if I could pick up a 17-55mm 2.8 I would probably use the 35mm a whole lot less.